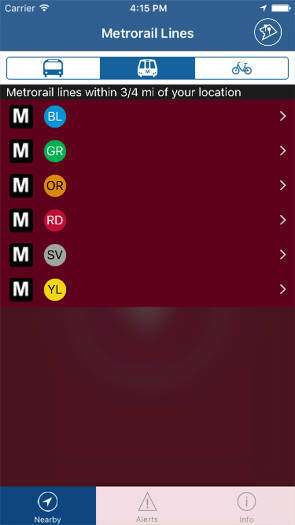 Multiple transit options in one app. DC Metrorail, DC Metrobus, Capital Bikeshare, DC Circulator, and DC Streetcar. 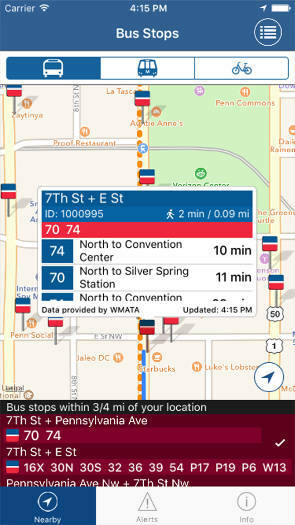 Find out when your next bus or train will be at your stop. 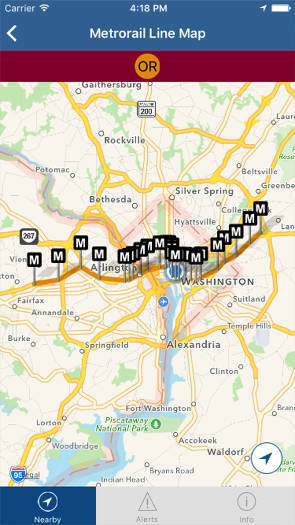 See available bikes and empty docks for each Bikeshare station in the DC metro area. 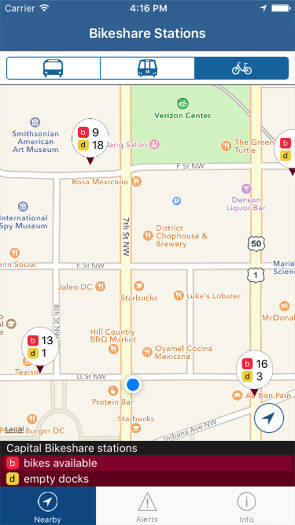 Metrorail station entrances, bus stops, and Bikeshare stations are listed on map, based on your location. Rail lines with stations and bus routes with stops are displayed on map, to help you plan your trip. 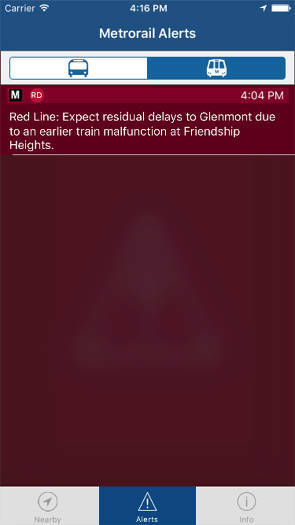 Alert information for DC Metrorail and DC Metrobus keeps you informed on the latest incidents from WMATA. DC Mass Transit - 2016 | Apple, the Apple logo, and iPhone are trademarks of Apple Inc., registered in the U.S. and other countries.